In an old printing building, totally recycled, apartment with lots of sun. 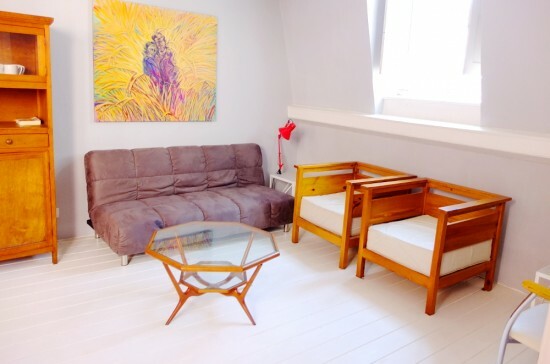 Located in an attic the apartments has a large living room with vintage furniture. 1 bedroom, 1 bathroom. Terrace and solarium. Second floor by stairs.